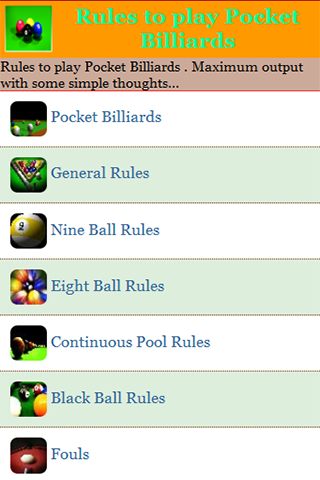 Pocket billiards and also called Pool. A Billiards game most popular in the United States and Canada, played with a white cue ball and 15 consecutively numbered coloured balls on a rectangular table with six pockets. The dimensions of the table are usually 4 by 8 feet or 4 1/2 by 9 feet . 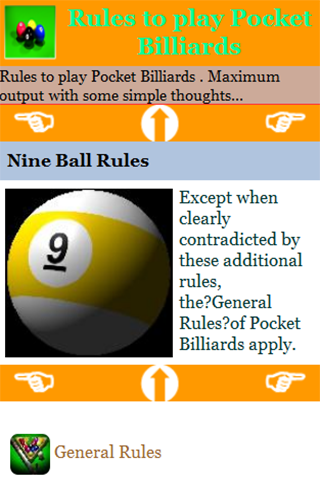 These general rules apply to all pocket billiard games, unless specifically noted If a player fails to pocket a ball on a legal shot, then the player's inning is over. 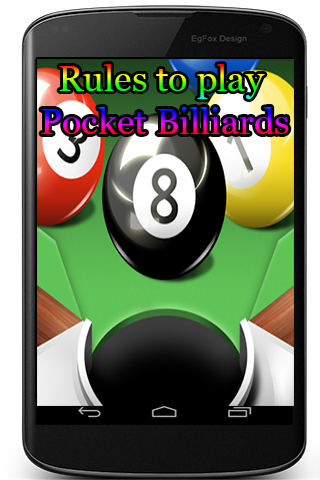 Played on a pool table with six pockets, the game is so universally known in rules as Pool Billiards The Rules of Play for amateur and professional play.